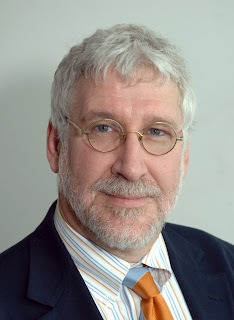 While collecting some quotes to use in our upcoming GridBriefing on eHealth I was lucky enough to chat to Ken Buetow, associate director at the National Cancer Institute in the US and leader of caBIG (cancer Biomedical Informatics Grid). Here's what he had to say. What do you think grids and bioinformatics can offer healthcare? I think that they're transformative technologies. I think they represent an opportunity to connect the disparate, and I might say at times desperate, components of health and healthcare, medicine, biomedicine and biomedical research in a manner that the whole can become more than the sum of the parts. [They] allow us to leverage the observations [...] in a healthcare or healthcare delivery setting, to help us know what the important research questions are – what's working, what's not working - and to bring the information into a research setting where we can discover new ways to approach disease, new interventions to treat disease and to understand the basic fundamentals of disease. caBIG started in the US in an attempt to try to interconnect our NCI supported cancer centres. These are groups that are responsible for both conducting cutting edge research at a basic science level all the way through to delivering state of the art care. So we started this in an effort to try to do their research work but more recently we're moving forward to help them connect all their healthcare delivery information as well. What do you think are the main things caBIG has to offer researchers – is it the collaborative aspect, the data management, working across borders..? Part of the complexity of the problem we're trying to address is all the above..at its simplest form this grid or e-infrastructure gives people access to data and, or analytic capabilities that they just wouldn't have in the absence of being able to plug into this type of tool. On the other hand it also provides them with capabilities to manage their own data, to connect that data with other people's data to be able to then share their results and to form collaborative teams, to create virtual organisations. One of the key things that the founders of grid technology talk about all the time is that they enable the concept of virtual communities, of virtual organisations that supercede the technology, and even supercede the analytics. It's a whole new way of thinking about organisations that don't require you to have bricks and mortar or formal affiliations but in fact by using a technology platform and by using a series of trust agreements you can work together in ways that are just unprecedented. What do you hope for the future of eHealth and caBIG? Our hope is that we're going to change the face of biomedicine in general, but, in specific, move much more rapidly to being able to intervene to remove the tremendous burden of cancer. In the US alone there are 1.4/1.5 million diagnoses of cancer a year...Everybody is hysterical about H1N1 [swine flu] right now and the number of deaths is measured in low thousands at this point whereas in the US alone there's 500 000 deaths due to cancer. Our goal is to release the power in these next generation data sets, to liberate the information that's trapped in individual laboratories or in individual organisations so it can be more widely shared and so we can much more rapidly make progress in defeating cancer and all sorts of other diseases.